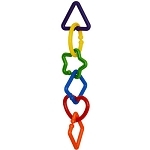 10 x 10 x 10 "
Double the fun of our smaller Arch toy. 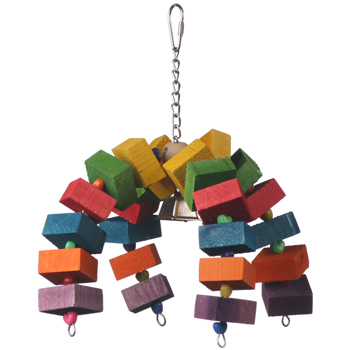 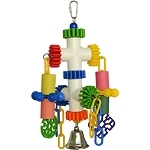 This toy sports two colorful rainbow arches of easy to chew blocks seperated by heart beads. 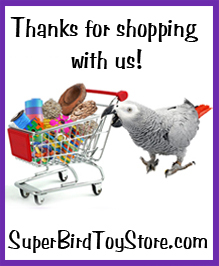 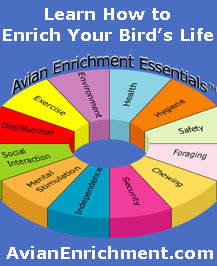 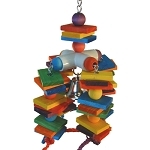 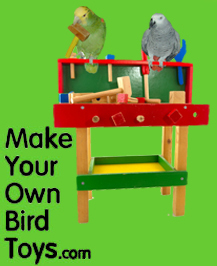 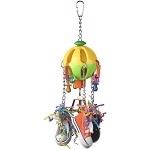 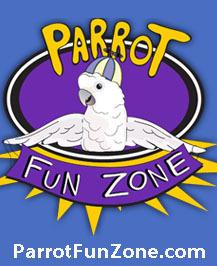 The shiny bell dangling from the center will elevate the excitement level for your bird!